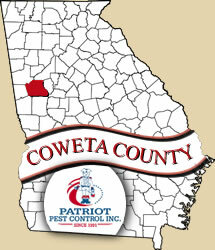 We have had the pleasure of serving the Coweta County area since 1991. Newnan also is known as the City of Homes. We have lots of wonderful shops and restaurants to choose from. The cities in Coweta County include Sharpsburg, Peachtree City, Newnan, Grantville, Palmetto, Senoia, Turin, Raymond, Roscoe, and Corinth. 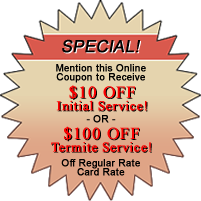 Give us a call today to help you protect your home or business from pests and termites.